she's crafty...and she's just my type. : Time for some 2S4Y!! Well, my brother left this afternoon after a nice 5 day visit and since we were at baseball today from 8am until 6:30pm, I was starting to get a little worried about this post making it on time. Thanks to the NFL Draft, I was able to quietly sneak away for some stamping!! Thank goodness, cause I was really dreading the whole, "hey bro, I know I rarely ever get to see you and all, but would you mind if I slip away for a bit and fool around with my stamps and stuff!" I am sure he wouldn't have minded, but really, am I that much of an addict?? OK, don't answer that!! Anyway, I made this card for the 2S4Y challenge last night during the draft. I was so excited to finally get to play around with this image from whimsyhaven- LOVE it! So, all in all, I guess football isn't so bad. Actually, it comes in handy ever now and again!! Here's the card. For some strange reason, I couldn't get the picture to come out straight. So, being tired and lazy, i just went for the exaggerated crooked look!! Have a nice rest of the weekend!! very pretty card! love the texture! Oh wow, I LOVE this!! Bueller?...Bueller?...plan on crafting anytime soon??? Bueller?????? let me stalk you. please. or you can stalk me!! I don't mind. really, i don't. I'm a whole lot silly and just a little bit dorky. (or maybe its the other way around!) Oh, and I love crafty things and looking at crafty blogs which led me to my own crafty blog where some day I will show you all my crafty crafts. So, sit back and enjoy the show. 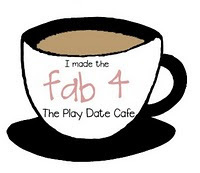 I was one of the FAB4!!! click on the pic to see the card! I was Chic of the Week! where i spend all my free time. seriously.